REGISTER TODAY FOR THE 2018 TC GERMAN INTERNATIONAL CAMP! 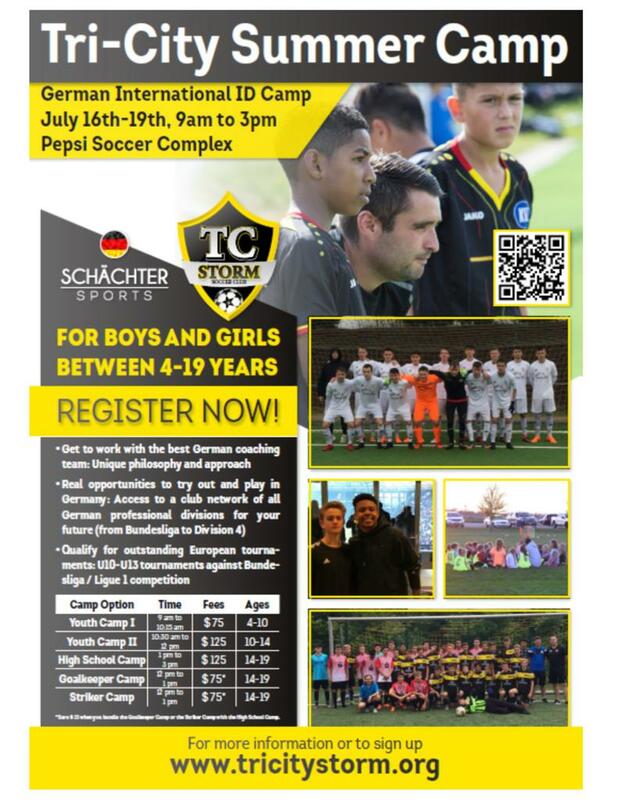 This year's Tri-City Storm Summer Camp is being held in cooperation with a German soccer organization, Schachter Sports! You will get to work with the best German coaching team! Click on the flyer to the left for more information or the button below to register today!